If you have the pattern they are a quick easy cut out, label your parts and you could be done in no time. 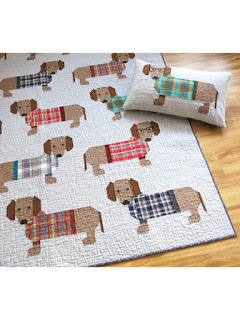 Cute puppy quilt and pillow...this would be an interesting project. Red and green, hmmmm, you are always up to something!